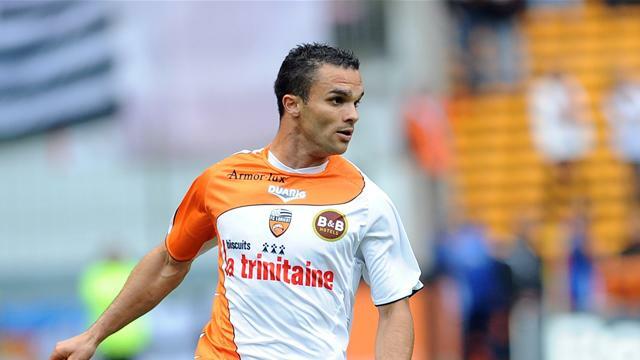 Marseille have agreed in principle a deal to sign defender Jeremy Morel from fellow Ligue 1 side Lorient. Morel, 27, will sign a four-year contract on either Monday or Tuesday if he passes the necessary medical examinations. The left-back arrives as a replacement for the departed Taye Taiwo, while Gabriel Heinze has also been given permission to find a new club. Morel emerged from the Lorient academy and has been a first-team regular for the club for the past eight seasons, making in excess of 200 appearances. He will be reunited with Morgan Amalfitano at Stade Velodrome after the midfielder left Lorient to join Didier Deschamps' side at the end of last season.